When I was in grade school, Valentine’s Day was one of my favorite holidays. There were cards. There was the possibility that your crush actually liked you back. And, there was the chocolate — so much chocolate. Little did I know that the roots of this holiday bore little-to-no resemblance to my childhood experience of it. We were never taught that Valentine’s Day actually originated with an arguably gruesome ancient festival, where there was no chocolate or exchange of cute, red-and-pink cards. But love it or hate it, those are the types of things we associate with the holiday today. After all, there’s a reason roughly 114 million Valentine’s Day cards are exchanged each year — it’s what’s become expected of us. So how the heck did we get from an ancient Roman festival to a holiday that compels many of us to spend no less than $147 on celebrating it? That story, it turns out, is thousands of years old — but we’ll try to condense it. 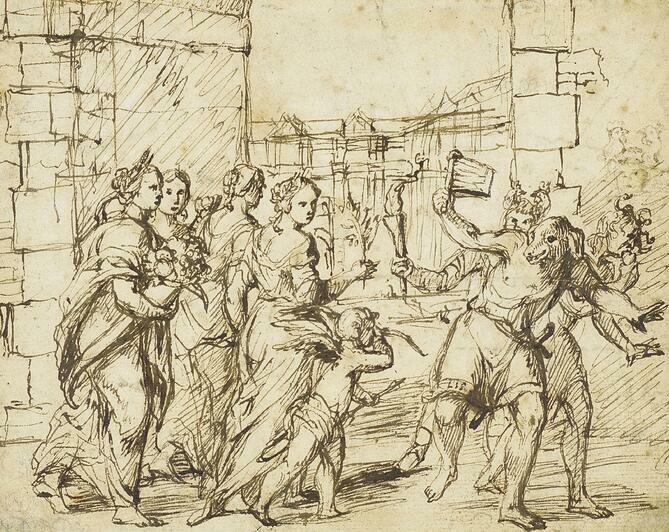 Over two centuries later, Pope Gelasius ordered that Lupercalia be replaced with the February 14 observation of St. Valentine’s Day. That set the tone, some believe, for the day’s forthcoming tradition of exchanging “love messages,” perhaps in remembrance of St. Valentine’s farewell letter. The Romans are also credited with constructing the idea of Cupid — a god of love often depicted with arrows that, as the legend goes, inflict love upon those who are hit by them. The Roman version of Cupid was adapted from Eros, a god of passion and fertility in Greek mythology. It seems that no one is quite sure when cupid became associated with Valentine’s Day, but the fact that both have origins in ancient Roman culture suggests that there may have been some very early overlap between the two. When NPR’s Arnie Seipel set out to explore the history of Valentine’s Day, he found that it first became romanticized by classic authors like William Shakespeare in the late 16th century, and Geoffrey Chaucer in the 1300s. Dartmouth English professor Peter Travis cites Chaucer’s epic poem The Parliament of Fowls, which was one of the first literary references to St. Valentine’s Day, or “Seynt Valentynes day,” as Chaucer spelled it. One such mention is made, Travis explains, alongside the line, “Now welcom somer, with thy sonne sonne, That hast this wintres weders over-shake.” In other words, when we celebrate love in the coldest depths of winter — in February, for instance — it’s so heartwarming that it makes summer feel less far away. 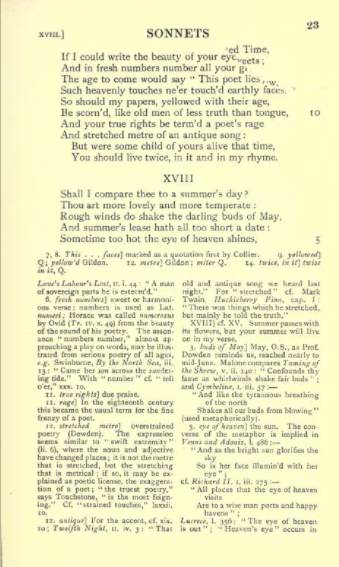 Some literary historians credit Shakespeare for the permeation of love into popular culture with his composition of “Sonnet 18” — said to be written between 1593-1601 — a.k.a., “Shall I compare thee to a summer’s day?” It’s unclear when or how this particular work became associated with Valentine’s Day, but like Chaucer, Shakespeare compares love to the seasons. 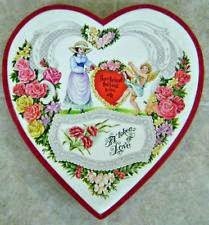 It’s said that one American woman, Esther Howland, was so intrigued when she received her first English valentine greeting in 1847, that she became infatuated with the idea of manufacturing them in the U.S. She was an early entrepreneur, and instinctively believed that there could be an American market for these formal, English-style greetings. 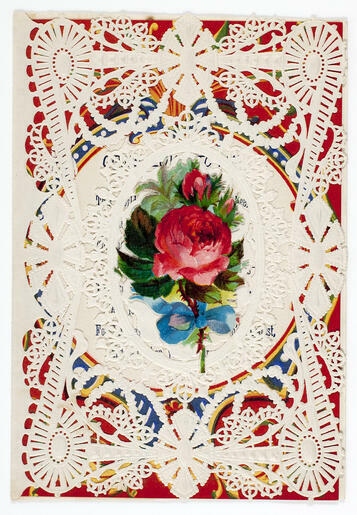 After procuring materials like high-quality paper and lace from her father, a stationer, she created what many credit as the earliest American Valentine’s Day greeting cards. Today, Howland is still honored with the nickname “Mother of the American Valentine,” with many citing her work as the start of a multi-million-dollar industry. But it didn’t happen overnight — let’s take a look at how her work paved the way. Charles II of Sweden begins communicating with flowers, by assigning a different message to each type. This tradition allegedly assigned love and romance to the red rose, setting the stage for this flower to be exchanged during the later, commercialized era of Valentine’s Day. However, it remains unclear if a specific brand is responsible for first marketing flowers as part of Valentine’s Day gift-giving. In England, where Valentine’s Day had by now already been celebrated with the exchange of gifts and cards for many years, the Cadbury chocolate company sells the first heart-shaped box of chocolates. In Massachusetts, Howland produces a dozen sample Valentine’s Day cards and sends them off with her brother to distribute during a sales trip for their father’s company — S.A. Howland & Sons — hoping to earn $200. Instead, he returns with 25X that amount, indicating a much higher-than-expected demand. The first print advertisement for Howland’s cards appears in the Worcester Spy. 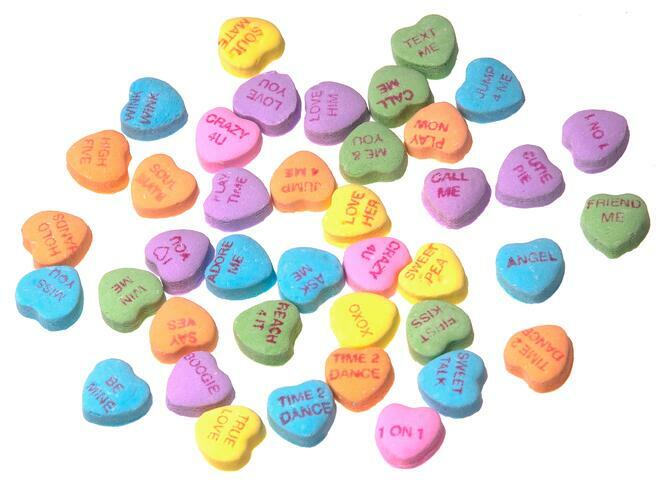 Conversation candies are developed, when Daniel Chase — brother of New England Confectionery Company (NECCO) founder Oliver Chase — uses vegetable dye to print words onto confections. Howland incorporates her booming card business as the New England Valentine Company, operating out of her home via an assembly line that was largely comprised of her friends. 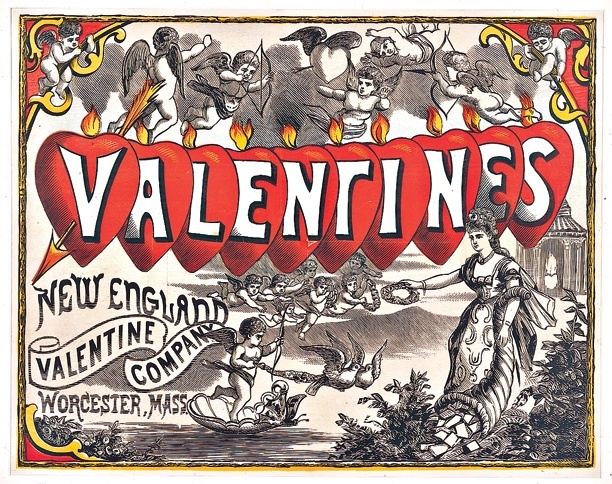 The New England Valentine Company moves operations from Howland’s home to a Main Street factory in Worcester, Massachusetts. 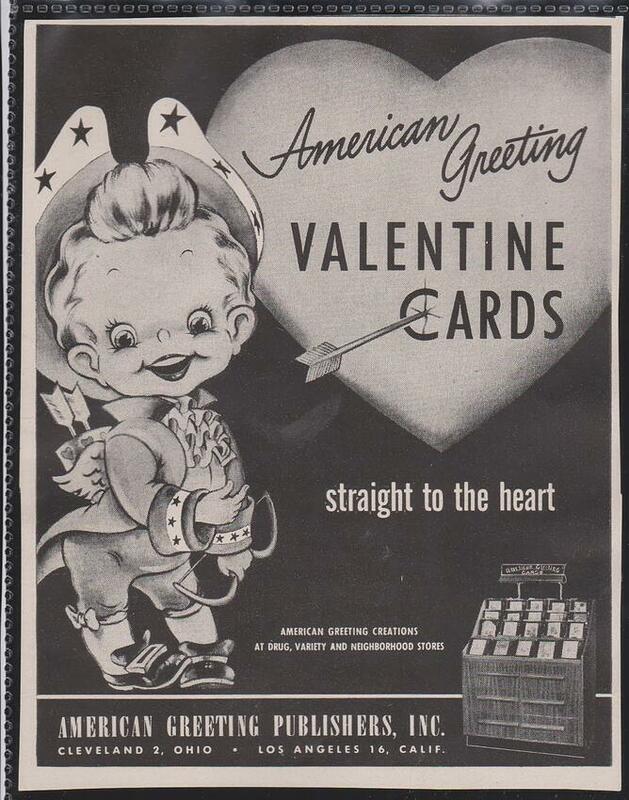 That same year, the company publishes the Valentine Verse Book, which contained 131 “verses” that people could cut out and paste inside of cards that came without a greeting — or those with a greeting that the buyer didn’t like. 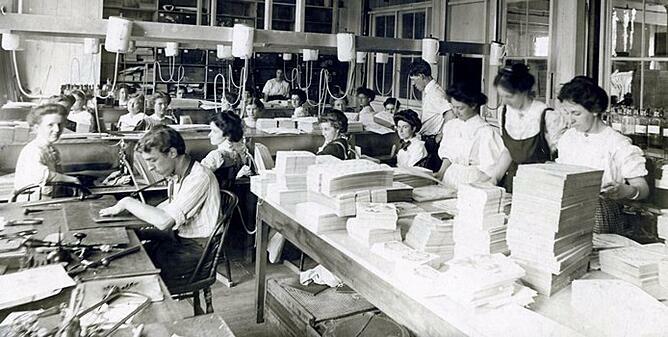 Howland sells the New England Valentine Company to the George C. Whitney Company. Whitney has acquired at least 10 competitors, including Berlin and Jones, which had become New York City’s “largest manufacturer of Valentines.” Ten years later, the company moves to large-scale headquarters on Worcester’s Union Street. The Hershey Chocolate Company is founded, bringing what was previously “a European luxury product” to the U.S.
American Greetings is founded, eventually becoming one of Whitney’s chief competitors. The Hershey Chocolate Company introduces Kisses candy. That January, a massive fire destroys much of Whitney’s headquarters. However, most of the Valentine’s Day products had already been shipped for the season, having little impact on that particular holiday. 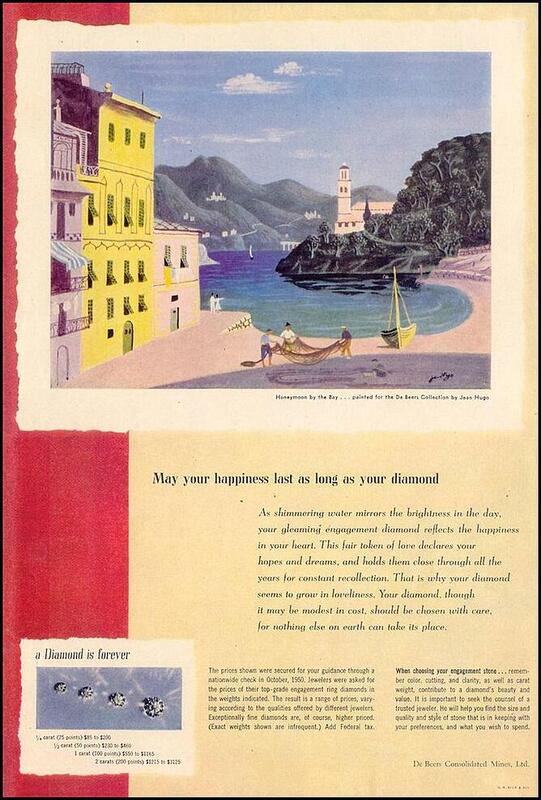 That same year, Hallmark is founded. Meanwhile, 1910 also saw the creation of Florists’ Telegraph Delivery — today known as FTD — which pioneered the remote ordering and delivery of flowers, providing a way to send them to far-away loved ones. Hallmark produces its first Valentine’s Day card. The De Beers diamond company launches its “A Diamond is Forever“ campaign, sending the message that gifting high-end jewelry can be used as an expression of love. Hershey’s begins packaging Kisses candies in pink and red foil specifically for Valentine’s Day. 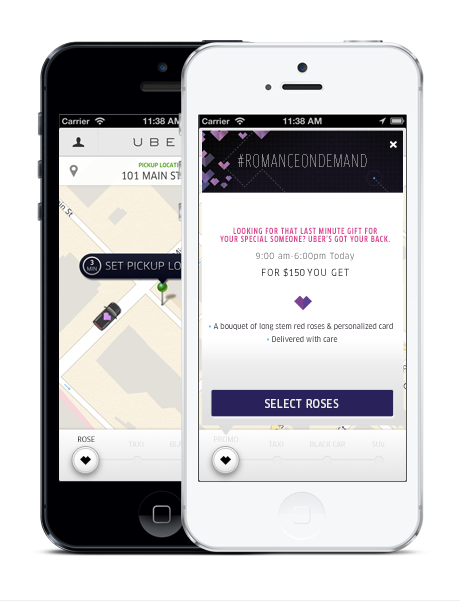 Ride sharing company Uber rolls out “Romance On Demand,” allowing users to send flowers on Valentine’s Day via the app. This initiative would continue to progress, with on-demand skywriting becoming available the following year. NetBase, a social media analytics platform, releases a Valentine’s Day Sentiment Analysis, measuring how people engage with and discuss the holiday on social media. In total, it measured nine million mentions of Valentine’s Day, with the vast majority of them mentioning a specific brand — Netflix. The top hashtag was #happyvalentinesday. Like so many other holidays, Valentine’s Day has experienced a transition into pop culture that has shaped the way it’s perceived, discussed, and celebrated. Sure, it’s often accused of being nothing more than a money-making marketing holiday — just look at these numbers compiled by HISTORY.com. But next time you hear someone label Valentine’s Day as “Hallmark holiday,” you’ll have a wealth of historical information to respond with. From our hearts to yours, Happy Valentine’s Day. 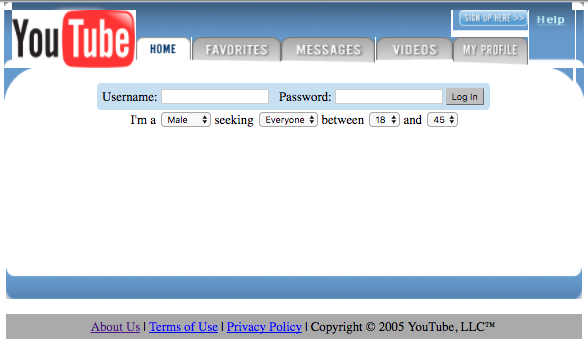 We’ll be keeping an eye on its continued evolution.